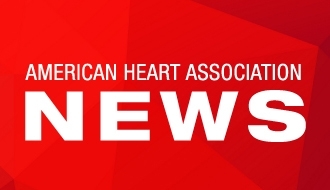 DALLAS (March 14, 2017) – Each year, the American Heart Association’s Heart Walks bring together more than 1 million people from 15,000 companies to help fight against the nation’s two biggest killers, No. 1 heart disease and No. 5 stroke. Since 1992, Heart Walks have raised approximately $1.6 billion collectively to support the research, education, prevention and community programs funded by the AHA. Companies like AT&T, Tenet Healthcare, UnitedHealth Group and Union Bank are National Heart Walk teams and some of the top fundraising companies for Heart Walk, proving that their leadership plays an important role in the life-saving mission of the AHA. Heart disease affects approximately 800,000 Americans each year. By walking, companies and their employees can showcase the benefits that physical activity and healthy living can have on cardiovascular disease. The decision to invest in the health of employees has an additional benefit for their families and the community where they live, potentially creating far-reaching benefits for the company. Among the many employee wellness benefits, companies cite increased employee productivity and satisfaction, reduced absenteeism and lower healthcare costs for the organization. Tenet Healthcare has been a long-time supporter of the AHA and the Heart Walk due in part to shared missions. Designed to promote physical activity and heart-healthy living, the Heart Walk is usually a three-mile non-competitive walk with shorter distances offered for survivors and children. Each event also offers fun activities for kids, health information, giveaways, main stage entertainment and more. In addition to the walk, companies can participate in the AHA’s Workplace Health Solutions to help maximize their current employee health programs engaging their employees with the AHA’s tools to reach their ideal cardiovascular health. Employees are also able to join the AHA’s Healthy For Good™ movement, which provides simple, shareable, science-based information and resources to help all Americans make lasting changes for better health. Learn more about Heart Walk at http://www.heartwalk.org/ and Workplace Health Solutions at www.heart.org/workplacehealth. To participate in the annual event, walkers can registers online by visiting http://www.houstonheartwalk.org/ or by calling 713-610-5000. There is no registration fee, but donations are accepted. Walk as part of a company team or form your own team with family and friends.